There are many enrollment periods for the various parts of Medicare. These windows of opportunity provide beneficiaries the chance to sign up for Medicare coverage. It is critical to understand these enrollment periods, which involve requirements and acronyms that are confusing. This easily leads to consumers missing out on valuable Medicare coverage. They face long waiting periods and coverage gaps resulting in expensive out-of-pocket costs, some of which go on forever in the form of lifelong penalties. 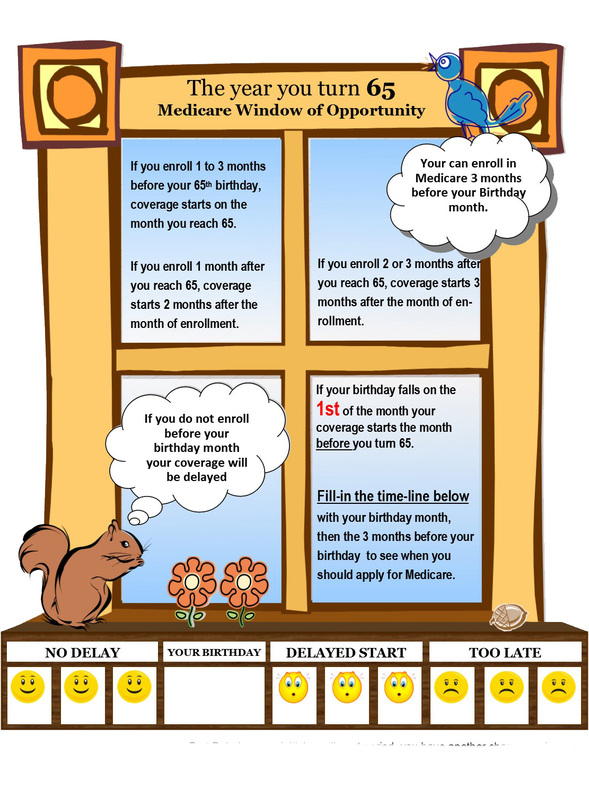 It’s essential to be familiar with the many varieties of Medicare enrollment periods. The Medicare Initial Enrollment Period (IEP) is a beneficiary’s first opportunity to enroll in the cornerstones of Medicare coverage, Parts A and B. For most people, the IEP begins three months before the 65th birth month and concludes at the end of the third month after the 65th birthday month. As always, there is an exception. If the 65th birthday is on the first day of the month, the IEP starts and ends one month early. Supposing that a person is already receiving Social Security retirement benefits, then they are automatically enrolled in Medicare. The same goes for folks with Social Security disability after 24 months. In either of these cases, automatically enrolled beneficiaries must keep Part A but have choices to make about respect to Part B. If they have Medicare-equivalent health coverage, they may be entitled to a Special Enrollment Period (SEP). If so, they can decline Part B and re-enroll in Medicare Part B at some point in the future. Given that Medicare-eligible individuals are not automatically enrolled, they need to sign up for Medicare themselves during their IEP. If they do not enroll on time and are not eligible for a future SEP, they will pay lifelong penalties and have coverage gaps. Given that many people are in the workforce beyond the age of 65 or are delaying starting Social Security retirement benefits, I see an increasing number of folks caught in an unfortunate misunderstanding about whether or not they should have signed up for Medicare during their IEP or are eligible for a SEP.
Special Enrollment Periods (SEP) are the windows of opportunity to enroll in Medicare or elect different Medicare plans outside of the IEP or another Medicare enrollment period. There are multiple categories of SEPS. The SEP that causes so many misunderstandings about whether or not people should have signed up for Medicare during their IEP or are eligible for a SEP is the employer group health plan. People may qualify for a SEP if their coverage is from an employer group health plan that meets certain Medicare standards. If so the SEP lasts for eight months after the employment coverage ends. Usually, there is no late enrollment penalty for signing up during a SEP.
• The employer provided health plan needs to be with a group of 20 or more insurance eligible members. If the group is smaller than 20, Medicare Parts A and B must be primary and cover 80% of costs. The employer plan only covers 20%. In those cases, many folks are better served by leaving the employer plan and signing up for Medicare Part D and a supplemental plan. • The employer coverage needs to be Medicare Part D creditable, meaning that the employer coverage includes a prescription drug benefit comparable to Medicare Part D. The employer or insurance plan can provide the Medicare creditable coverage notice. Get a copy of this letter every year when your employer coverage renews. That way no one is caught off guard down the road. If a plan has not been Medicare creditable, lifelong penalties of 12% per year are levied when the individual enrolls in Medicare Part D.
• Sign up for Medicare as soon as possible. Medicare enrollment can begin three months before employer coverage ends. • While there is an eight-month window to sign up for Medicare Parts A and B, there is no primary health coverage until Medicare enrollment is complete. Even COBRA coverage is secondary coverage to Medicare. That means Medicare Parts A and B cover 80% of costs, leaving COBRA to pay 20%. The result is that when Medicare-eligible individuals do not have Medicare Parts A or B they are left to pay 80% of their costs out-of-pocket. • Whenever someone misses the eight-month SEP window after leaving employment, they will have to wait an extended period to of time to enroll, have coverage gaps and pay lifelong penalties. The more familiar you become with Medicare enrollment periods, the more efficient you will be in helping your clients make smart choices.